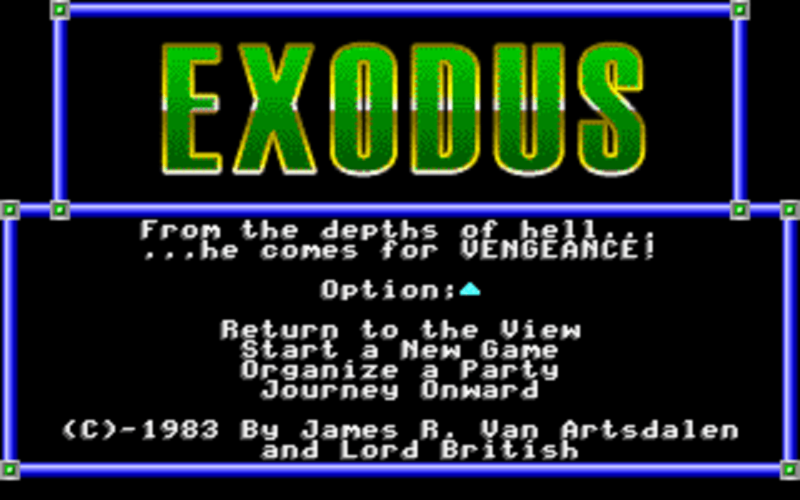 Besides having a reputation as the black sheep of the series, Ultima 2 has several bugs that have persisted over the years. One of them occurs somewhat infrequently when entering a time gate. When it happens, the time gate will teleport you to the wrong location for its position. But the more noticeable side effect is when it also changes the terrain type underneath it. Two common ways I’ve seen it manifest is as a forest tile in B.C. Canada, or a grass tile in A.D. Argentina. One thing that I’ve felt the earlier Ultima’s are often missing is a world guide. 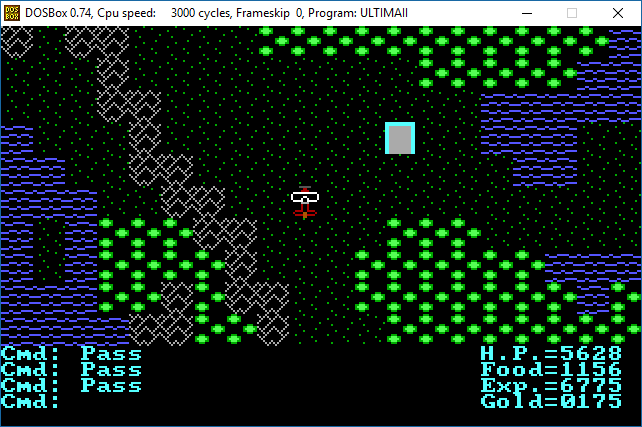 Ultima IV and later have it – a description of the world, including its regions, its cities and a little bit of history. It’s a very big part of why Britannia had a more consistent and coherent world lore. 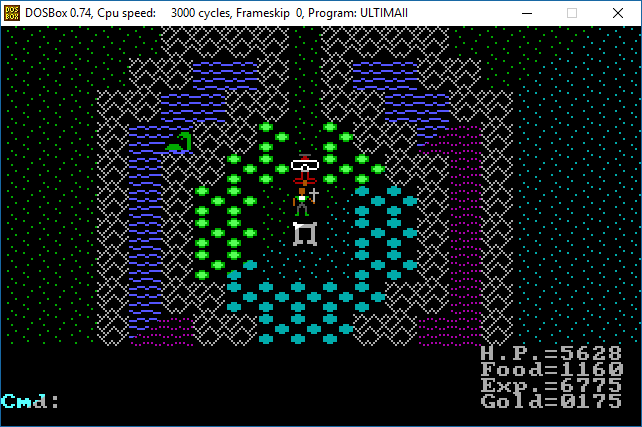 Since I’m aiming for a similar thing in Sosaria Mod, why not put one together for Ultima III? During the SosariaMod beta, one of the key pieces of feedback I received was that the upgrades are still fairly difficult to install. While I’ve tried to streamline the install process with each iteration since v3.0, including providing Windows, Linux, and DOS versions of install tools, there is still a step or two that requires a command line. Hopefully, the next version will change that. One of the new features coming in U3 patch 3.3 is the addition of a “Start a New Game” option. This option is added directly to the in-game main menu, and will reset your party, register, and all saved progress on the sosaria map (which included monsters, ships, moon state, and whirlpool location). The reason why this is even a thing in Ultima’s 2 and 3 is that these early 1980’s games were designed to save your game state to “player” floppy disks. When you wanted to start a new game, you simply used a clean player disk.